Will you please fix your defense? Whether it’s you or your defensive coordinator, David Gibbs, please fix it. Although your defense is explosive and may be able to score with anybody with a true sophomore quarterback already having won two Big 12 Offensive Players of the Week awards, your defense is last in the Big 12 in rushing defense and eighth in passing defense – you share a conference with Kansas, one of the worst Power Five teams around. Yes, it is true that I took way too much time to look that up, but coach, your offense would be more fun to watch if was thumping teams. I mean, most people didn’t think you had a chance this season but in the third week you’ve received votes from the coaches as one of the nation’s top 25 teams. 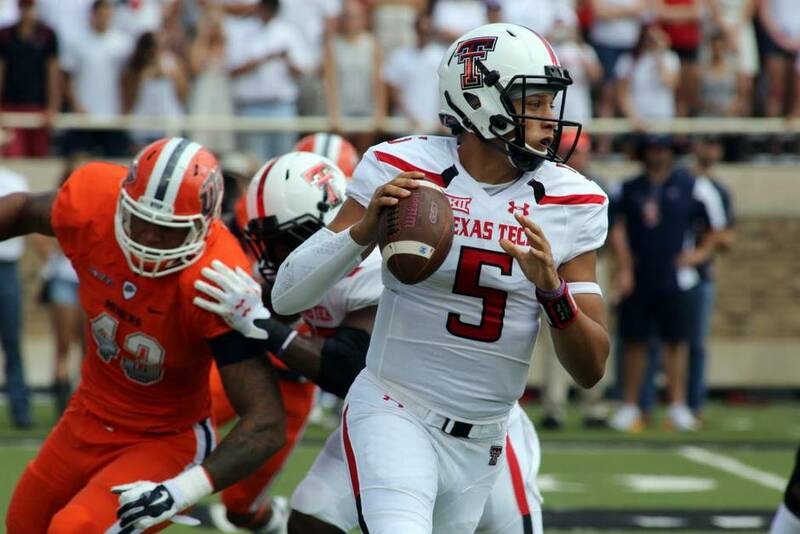 The Red Raiders have so much potential but the defense is clearly a problem. Baker Mayfield just needs a half to warm up each game, Mason Rudolph looks great but Mike Yurcich is clearly keeping some tricks up his sleeve until conference play. Kansas lost again (shocked face) and Iowa State lost to in-state rival Iowa. Baylor is a one-sided team as always – offense. Its defense seems nonexistent, letting up 31 to a bad FCS team. TCU destroyed its FCS opponent, as it should have, and look for the Frogs to do same in this week’s Battle for the Iron Skillet. Before I get in to this week, I want it to be known that what Baker Mayfield accomplished on Saturday is noteworthy and I probably would have voted for him to be the conference’s offensive player of the week after going in to arguably the most hostile stadium in the nation and bringing the Sooners back from down 17-0 in a thrilling, double-overtime instant classic. Also, I’d like to take this time to announce that I make picks outside of the Big 12 in a weekly TV show I host, called The Poke Report, on OStateTV every Saturday. Tune in this Saturday at noon to see who I take in games like Ole Miss-Alabama and Georgia Tech-Notre Dame.